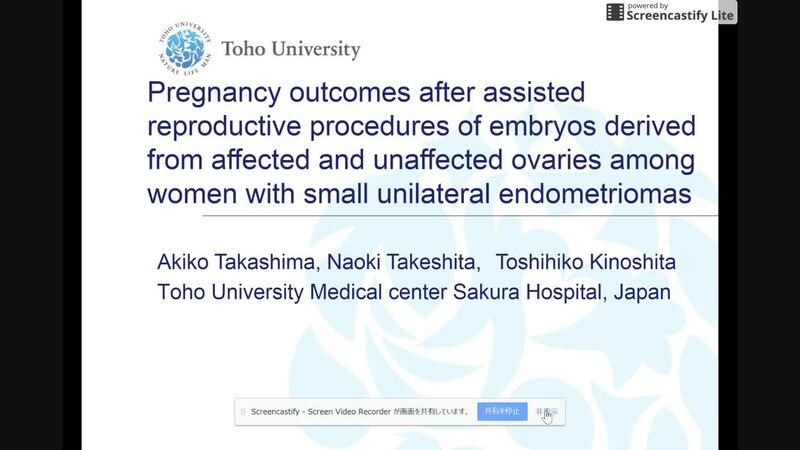 OBJECTIVE: To assess whether the quantitative and qualitative IVF outcomes in ovaries with and without a small endometrioma with high average age of the participants in the same individual. DESIGN: In this retrospective analysis, we examined 336 infertile women with unilateral endometriomas < 40 mm who had undergone IVF or ICSI from April 2011 to December 2016. Single frozen embryo transfer cycles were performed with the separate data collections for both the affected and the unaffected ovaries, allowed for the evaluation of the implantation rate. MATERIALS AND METHODS: On day 3, the serum levels of AMH, FSH, and E2 were recorded. We evaluated and compared the following for the endometrioma-containing ovary and the contralateral intact ovary: the AFC, the degree of follicular flushing, the oocytes that were retrieved, the embryos that were obtained, the blastocyst retrieval rate, the good-quality blastocyst retrieval rate, the pregnancy rate, the clinical pregnancy rate, and live birth rate. RESULTS: The mean age was 40.4 ± 0.9 years. The mean AFC, the number of follicular flushings, the oocytes retrieved, and the number of embryos that were obtained were significantly lower for the endometrioma-containing ovaries than for the contralateral intact ovaries (Table ). No significant differences were found with respect to the rate of blastocyst retrieval, the rate of good-quality blastocyst retrieval. The total pregnancy rate, the clinical pregnancy rate, or the live birth rate were not significantly different. CONCLUSIONS: Small endometriomas with average age 40 reduce ovarian reserves but do not significantly affect pregnancy rates. The decision to transfer an embryo from an endometrioma-contaiong ovary or from a contralateral intact ovary may also not influence the pregnancy rate.